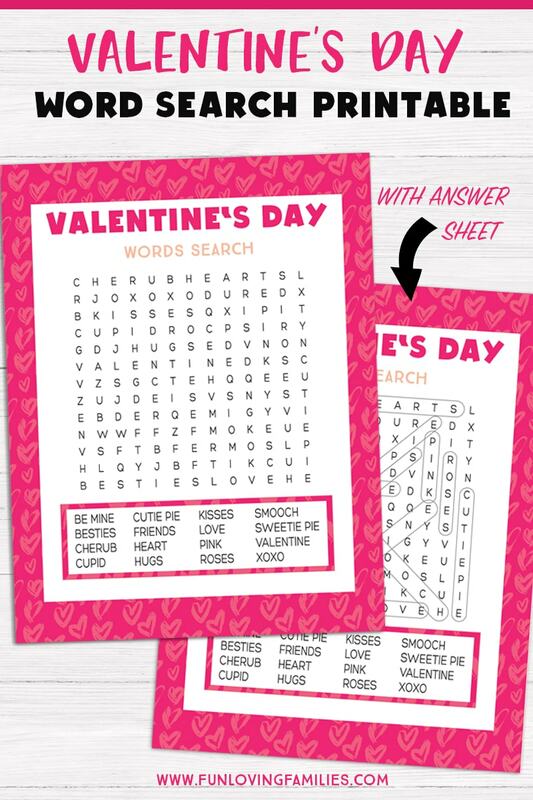 Download our free Valentine’s Day word search for a simple and fun Valentine’s day activity. Get the free PDF below. 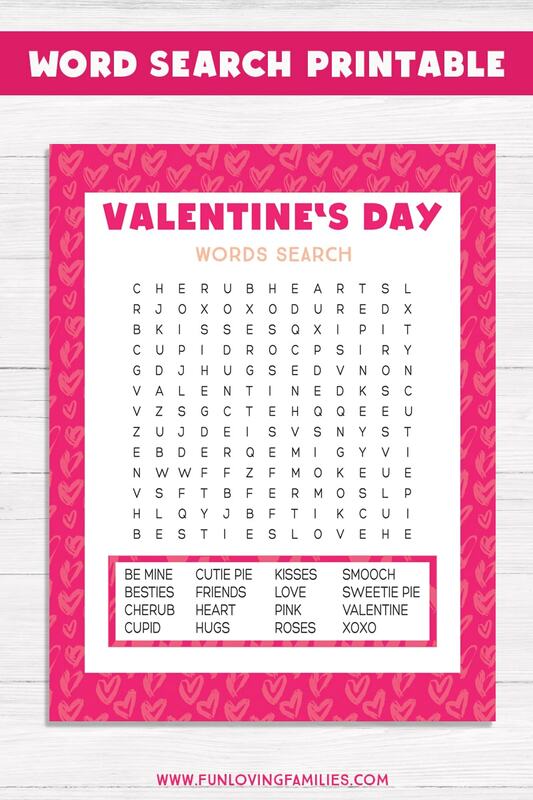 We’re just a few weeks out from Valentine’s Day and I still have a whole list of printable Valentine’s Day activities for kids that I’m trying to finish up. Kids can solve the word search puzzle on their own, or you can team up and work on it together! This puzzle is a quick one, with 16 words going up, down, and diagonal. I would say it’s a good puzzle for elementary grades and up. Older kids will probably get through it pretty easily, but if anyone gets stumped, I’ve also included the answer sheet that you can print out. Feel free to print as many as you like for your kids, their friends, or an entire classroom! These are also great to have on hand at Valentine’s Day parties and playdates. Do your kids like word searches? Do you do anything special with your family on Valentine’s Day? I’d love to know! You can tell me in the comments below.